For a long, long time, any PC enthusiast wanting to build a PC for high-end editing, rendering, or running a host of professional applications had the choice of either Intel or Intel. AMD was conspicuous by its absence at the premium end of the CPU market. That all changed with Ryzen and, later, Ryzen Threadripper, and now AMD enjoys top-dog status thanks to its 32-core, 64-thread 2990WX chip. Sure, it's not so great at gaming or light loads, but if it is muscular CPU performance you are after, there is nothing faster. Intel's fastest consumer processors use the Skylake-X architecture and top out at 18 cores and 36 threads. The erstwhile champ, Core i9-7980XE, and a bunch of other, related chips are being phased out and replaced by 9th Gen Core X. Though largely the same from a silicon perspective, Intel is giving each corresponding model a shot in the frequency arm. Seven 9th Gen Core X processors became available last week, and here is how they stack up. Running down the Core i9 stack, from 9980XE to 9820X, shows that Intel keeps an identical number of core and thread counts between generations, with up to 18C36T and dropping down to 10C20T. What's different this time around is that the associated L3 cache, known as Smart Cache, is larger for the 9920X and 9900X compared to the 7920X and 7900X. The reason for this is that Intel can disable cores on the Skylake-X dies without interfering with the L3 cache. Having more cache is generally considered to be a good thing from a performance perspective. The one outlier is the Core i9-9800X, as it has the same number of cores and threads as the 9900X but lower speeds and less cache. Comparing like for like, we can see that Intel has elevated the base and boost frequencies by a small margin. In particular, the headline Core i9-9980XE is able to run at an all-core 3.8GHz, compared to 3.4GHz for the Core i9-7980XE, the model it effectively replaces, which should lead to a circa-10-15 per cent performance improvement in demanding workloads. The explanation for this uptick in across-the-board frequency is that the latest manufacturing technology enables engineers to drive more current at the same power levels by dint of greater silicon efficiency. For what it's worth, these new Core-X processors also bring back solder as the interface material between the heat spreader and processor die. Intel refers to the design as STIM (Solder Thermal Interface Material), and the improved heat dissipation is most likely to benefit overclockers. Unlike some of the previous Core X chips, namely the Core i7-7820X and Core i7-7800X, Intel now enables a full 44 PCIe lanes on each refreshed Core X chip. This is sensible given that rival AMD has unfettered access to PCIe lanes, and rights an obvious wrong with the older Core X line-up. Core X refresh continues to use a quad-channel memory controller with official support for DDR4-2666, though it must be noted that increasing the core frequency and laying down more cache results in all new chips to be rated with a 165W TDP. Hardly a problem for a high-end cooler, mind. Being on the same LGA2066 socket enables these Core X chips to be a drop-in upgrade over older silicon, and we had no issues running on a first-gen X299 board equipped with the latest BIOS. Last but not least, though it is minor, Intel reduces each processor's pricing by up to $20 compared with the corresponding model from the 7xxxX range. This means there is more performance - up to around 10 per cent, going by the numbers - for a little less money. Good news for the well-heeled enthusiast. 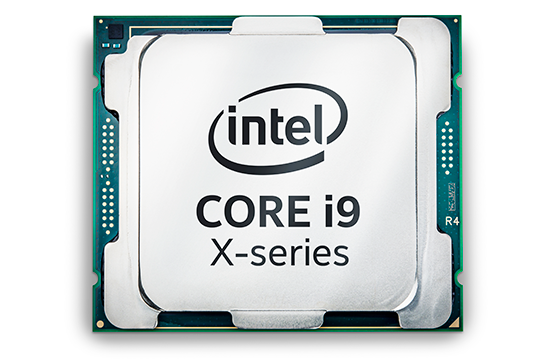 Focusing on today's review, we have the head honcho Core i9-9980XE. As mentioned earlier, it ought to be 10-15 per cent faster than the Core i9-7980XE, due to its frequency advantage, so let's now see how it benchmarks and compares against AMD's finest.